Diego Sepulveda, Johana Guerra Martinez, and professor Abel Valenzuela, who is special adviser to the chancellor on immigration, discuss DACA and related matters. On the day that was once slated to mark the end of the federal government’s Deferred Action for Childhood Arrivals program, UCLA students, faculty, staff, alumni, immigrants’ rights leaders and community members came together to discuss DACA and the need for a comprehensive immigration policy and to encourage students to remember their value and persevere in the face of adversity. 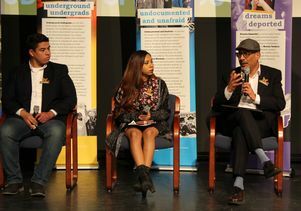 The March 5 event, organized by students in the labor and workplace studies minor and held at the Northwest Auditorium, featured remarks from Gilbert Cedillo, Los Angeles city councilman; Maria Elena Durazo, Unite Here general vice president for immigration and civil rights, who is running for state senate; Monica Garcia, Los Angeles Unified School District board member; Ernesto Rocha, community organizer and membership coordinator at Community Coalition; Hilda Solis, Los Angeles county supervisor; and Kent Wong, director of the UCLA Labor Center. DACA is an executive order enacted under then-President Barack Obama in 2012 that made provisions for some people who entered the United States undocumented as children to hold employment and not face immediate deportation for two-year renewable periods. On Sept. 5, President Donald Trump announced a move to end DACA and gave Congress a mandate to pass a replacement before protections began to expire on March 5. The courts have since blocked the motion; however there is still no resolution for the 800,000 undocumented immigrants who are DACA recipients. The evening also featured Abel Valenzuela, professor of Chicana and Chicano studies and urban planning and director of the UCLA Institute for Research on Labor and Employment, who spoke about his role as special adviser on the Chancellor’s Advisory Council on Immigration Policy. 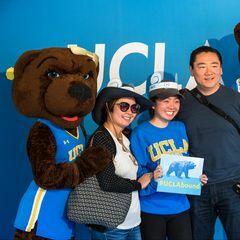 A campus-wide message from Chancellor Gene Block and Valenzuela in support of international and immigrant Bruins was sent to the UCLA community earlier in the day. In addition, the University of California issued a statement urging Congress to pass bipartisan legislation for permanent protection of DACA recipients. UC also provides services for undocumented students and information on immigration and has been outspoken in its commitment to support the rights of undocumented students, as outlined in its statement of principles in support of undocumented members of the UC community. Students also gave a presentation detailing, among other things, the timeline of the creation and implementation of DACA, the guidelines for eligibility and the benefits and the limitations of the program, including the division it created between those who were eligible for the program and those who were not. Among the benefits afforded to DACA recipients are the ability to legally work in the United States and in most states to pay in-state tuition; recipients are still unable to receive federal financial aid. An estimated 600-700 UCLA students are undocumented, and across the United States there are more than 1.8 million undocumented individuals under the age of 18. Of these, roughly 65,000 graduate from high school each year. The average undocumented family has an annual income of less than $30,000 making access to higher education and other basic services, including health care, challenging, the students said. Valenzuela joined panelists Diego Sepulveda, UCLA alumnus and interim director of the UCLA Labor Center’s Dream Resource Center; Habiba Simjee, an attorney for the UC Undocumented Legal Services; and Johana Guerra Martinez, a second-year UCLA student and external advocacy representative for IDEAS at UCLA, an undocumented student advocacy organization established in 2002, in a conversation moderated by Yadira Hernandez, program coordinator for the Undocumented Students Program at UCLA. 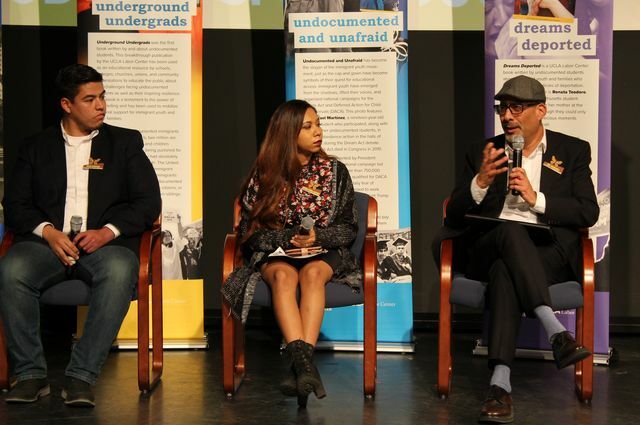 Each panelist spoke about their personal connection to the undocumented community, advocacy efforts and resources for people at UCLA who have benefitted from DACA and the temporary protected status program. “Immigration is such a global issue, so for us we’re out in the community with the reality that we’re continuing to build the leadership of young people,” Sepulveda said. He also spoke about the role that students have had in successfully creating change on and off campus, including the signing of DACA, and the efforts of the Dream Resource Center to help develop the next generation of advocacy leaders through programs like Dream Summer and the new Immigrant Justice Fellowship. 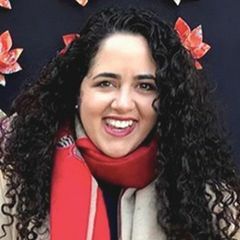 Simjee, whose experience involves working with refugees, asylum seekers, unaccompanied children, and youth in the juvenile justice system, became involved with undocumented student advocacy during law school at UC Berkeley.